A web page cannot be successful without first being properly indexed. Many people do not know the importance of this procedure, because they do not know how website indexing Works. There are many problems related to your website if not well indexed. Such as shortage of visits on your website, little influx of clicks, or people do not quickly access your new content. 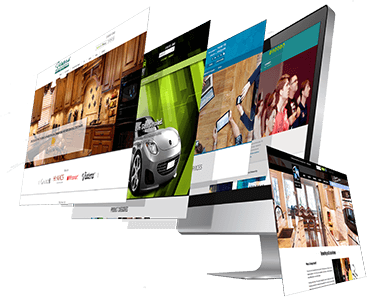 Read on and go deeper into this vital topic for website management. What do search engines have to do with indexing, and how website indexing Works? As the word implies, indexing means to include information in the index. In this case, this information is your website, and that index belongs to the search engines. But, how website indexing Works? 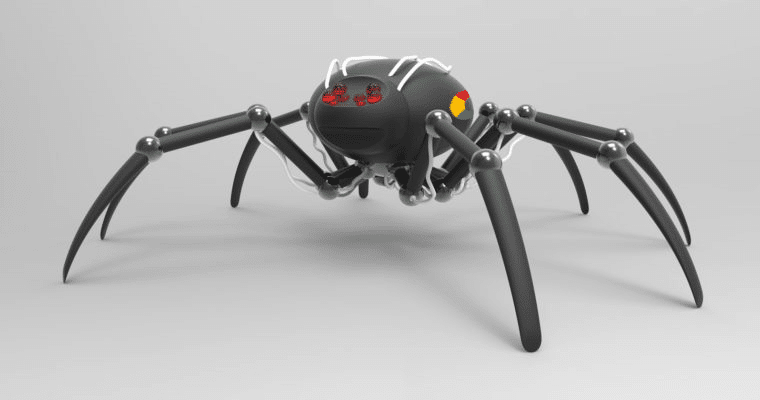 The search engines are responsible for automatically indexing all web pages that comply with the normal regulations of the internet, They do so through what is known as “web crawlers” or “spiders”. Once the pages are indexed, people can access them through the search engines. That is, when placing the title of your page, or the keywords it contains. Your page will appear somewhere in the results (in “the index”) of the search engine. If it is not indexed, you could only access it through the direct URL. As there are thousands of pages that are created or updated each day. It is possible that the spiders take too much time to find your page and index it by themselves. That’s why some manual tools have been designed to index your web page, in a simple and free way. How can I index my own website? There are several ways to proceed so you can index your web page. This will be especially useful if you just created a new page, or if you entered new content after a long time. Here we present the most practical ways to index your web page, so that you become an expert on how website indexing Works. 1. Creating sitemaps: A sitemap is an XML file that contains updated information about your website, especially that which is useful for search engines, such as all the URLs of your site, the level of importance of each page in relation to the content of the entire website, the dates on which you have scheduled updates, among others. It is made to be easily found by Web Crawlers and also provide all the details they need to position your website in the index. 2. Google Search Console: This is a web page that offers Google for free. 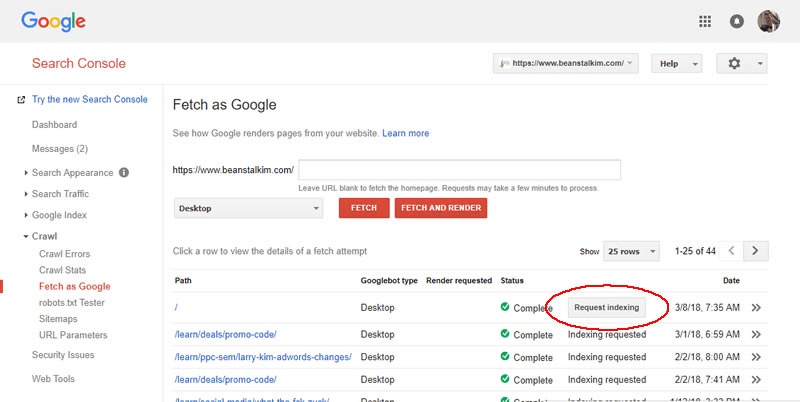 It works as a tool to link to your website and request that it be indexed. The procedure is very simple. Once you have linked the Search Console with your website, and have verified that it is your own, you can access the “Crawl” option in the left panel and select “Fetch as Google”. Fill in the white box with the remainder of the URL you wish to verify. After this you press “Fetch”, and once the status changes to “Complete” you can press “Request indexing”. Finally, you select the shipping method, if you want to track only that URL or all the links that it contains. And that’s it. Once this is done, you can find your web page with its updated content in the Google search index. In addition, the Google Search Console provides you with several other tools to optimize your website. 3. Send URL to google: This option is appropriate when the page you want to index is not properly in your domain. 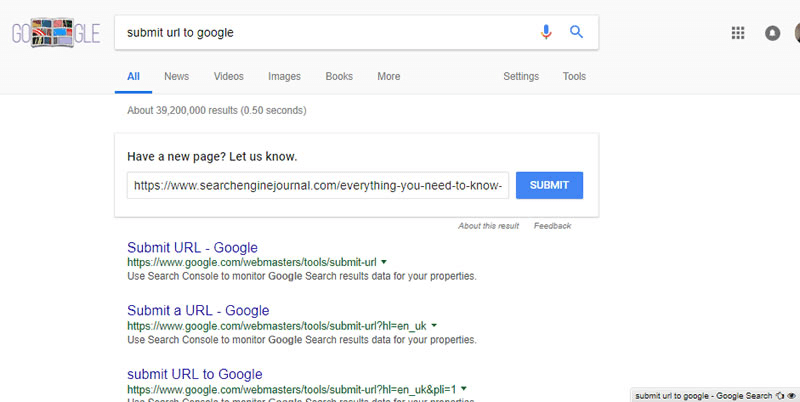 It works simply by googling “submit URL to google”, and the first result will be an empty field for you to enter the URL of the page you want to index. It is not as detailed as the previous options, but it will undoubtedly work to make visible any page you want.